>> How Much Can You Earn With Your Photos At 123RF? Thanks for joining me today for this review of 123RF. In this review I will be finding out whether this is a platform you should consider sending your best photos to in order to earn money. Lots of business owners need good quality images these days, and they seek them out from stock photography platforms. Stock photography is a cheap method of obtaining high-quality images, without the need of hiring a professional photographer. Under this arrangement, the freelance photographer retains the ownership of the photos, while the buyer only acquires the “rights of usage”. There are various platforms that link photographers and potential buyers across the globe. And one of those is the 123RF, which is highly popular for its huge collection of creative images from thousands of photographers. However, how good is this platform and how much do they pay you for your photos? 123RF is a web-based content agency that sells royalty-free images. Founded in 2005, the company has since grown to become one of the leading stock photography sites. As a freelance photographer, you are only required to provide the basic details about yourself. These include username, email, password, postal code, and country of origin. The next step involves uploading original photos on the site. The platform contains photo editors, which allows you to modify your images according to your preferences. This helps to increase the chances of making sales. Whenever an interested buyer downloads your photos, the company automatically deposits 30 – 60% commission to your account. One interesting aspect of the site is that it allows you to set your own payout limit. Once the limit is attained, the amount is sent to you via PayPal, Skrill or Payoneer. How Much Can You Earn With 123RF? There is no limit to the number of buyers who can access your photos. In essence, you can resell your photos multiple times, and on different sites without any restriction. The amount earned as commissions totally depend on your contributor level, which is the sum of license points generated in a period of 12 months. Apparently, the size and quality of your images determine the number of license points that you stand to earn. For instance, small image-size earns you 2 points, medium size- 4 points while extra large- 10 points. The site has 8 contributor levels. To become a level one member, you only need 0 – 999 points. You will earn a 30% commission from each successful sale. Level 8 is the highest contributor level. Members receive 60% commission, and you must accumulate 1 million points to reach this level. Additionally, the platform runs a lucrative referral program that pays 25% commission for every successful sale made via your referral and a further 10% for repeat purchases. However, to become an affiliate, you need to send an application for review. Once approved, you will get unlimited access to logos, banners, and links. You will also be offered exclusive access to partner promotions. So what are the merits and demerits of joining this Site? – It has a free photo editor; you can filter images to make them more appealing. – Different payment methods: It allows you to choose your preferred payment method. – Excellent customer service: You will get fast response to your queries. -You need to submit 10 of your best photos for review, during the application process. Bottom line: Can you really depend on this platform? If you are a passionate photographer and you would like to monetize your photography skills, then 123RF is definitely a good platform for you. The site allows you to retain exclusive rights to your photos. You will, therefore, be able to sell your content to different clients over time. The site has an excellent customer support team that responds promptly to queries in case you have any issues on the site. Additionally, the payment system is quite fair compared to other similar sites. However, for you to increase your chances of making sales, you need to produce unique, high-quality images that stand out from the rest. You may also boost your income by referring new members to this platform. 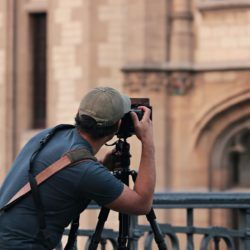 Based on these findings, I would recommend 123RF to anyone that wants to try to generate extra income on the side using their photography skills. Star Rating 3/5-A good platform for budding photographers that want to earn an extra income by capturing high quality images. If you love photography, why not start your own photography website and make a passive income from it. You could write about all things photography, and promote your favourite photography products on your site. When a sale is made you can collect commissions.